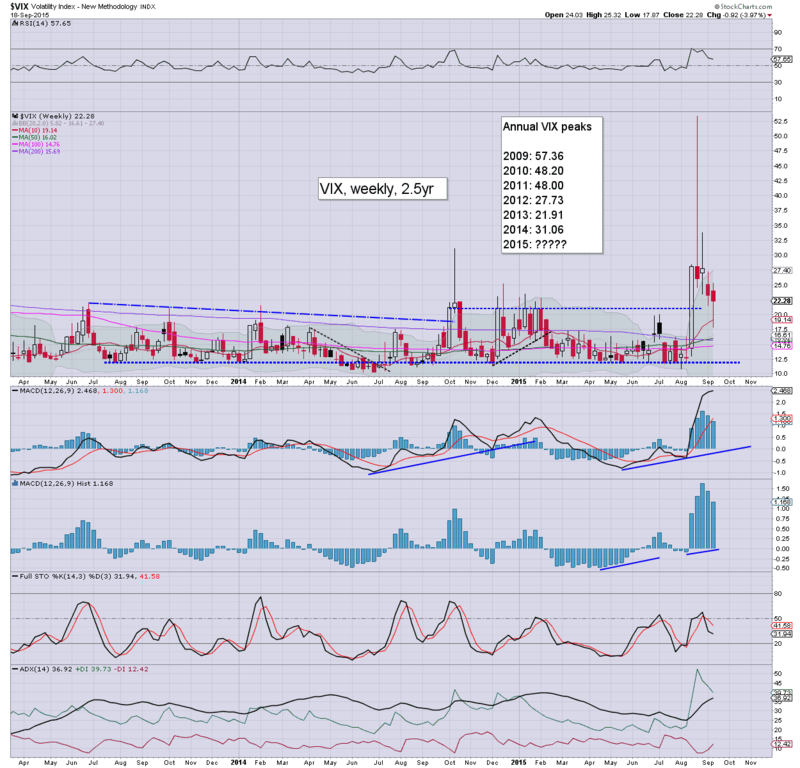 With equities settling significantly lower, the VIX was naturally back on the rise, settling +5.4% @ 22.28 (intra high 23.99). Near term outlook is increasingly bearish for equities, with renewed explosive upside due in the VIX to the 30s.. if not 40s in October. *the VIX saw a second consecutive net weekly decline of -4.0%.. with another lower high.. and lower low. 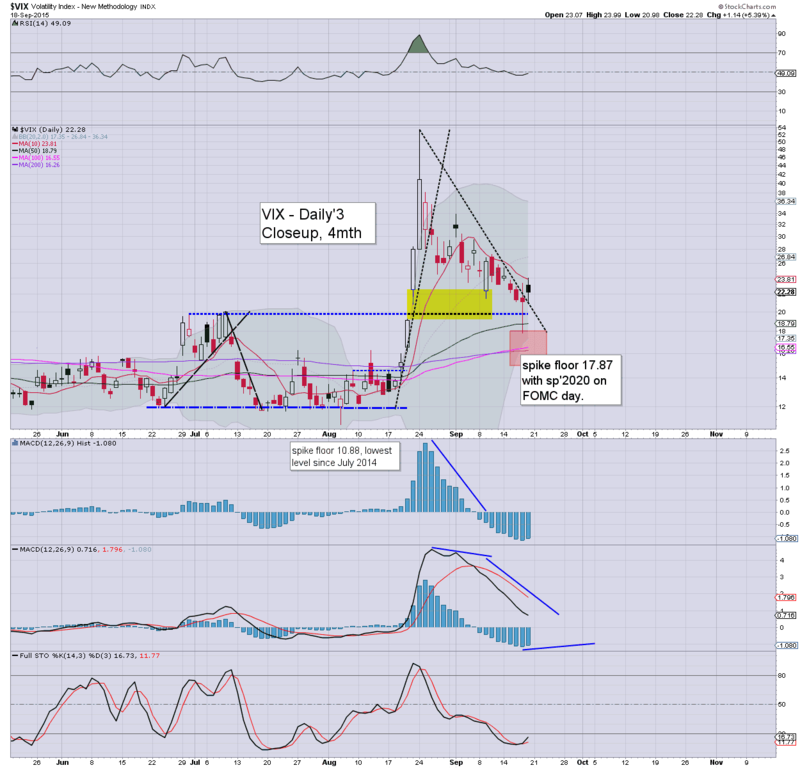 So... has the VIX floored at 17.87 - with sp'2020 this past Thursday? 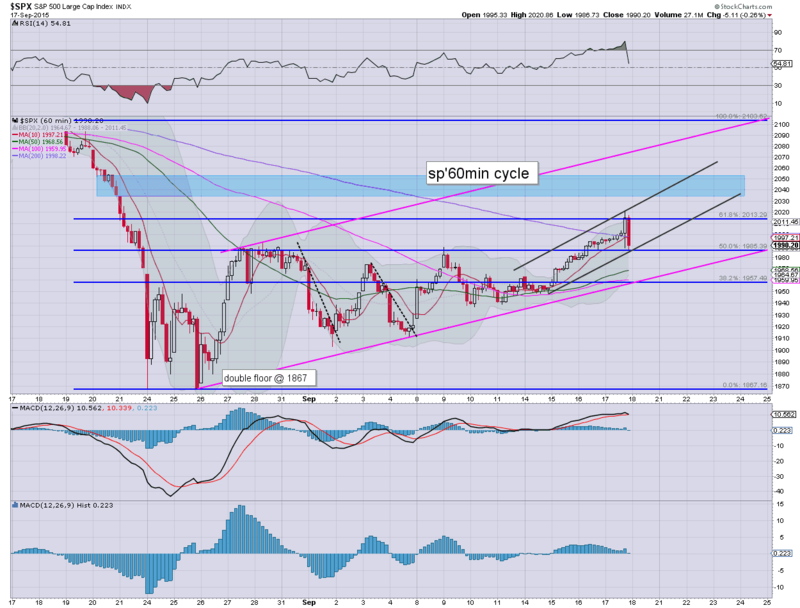 Considering the daily/hourly cycles - with key breaks of rising trend/support on some indexes.. the answer is probably yes. Renewed explosive upside into the VIX 30s.. and almost equally likely.. the 40s looks due into October. *I will look to pick up a VIX-long position next week. *closing hour: with a few billion of selling vol'... a rather stinky closing hour.. and a clear break of rising trend. 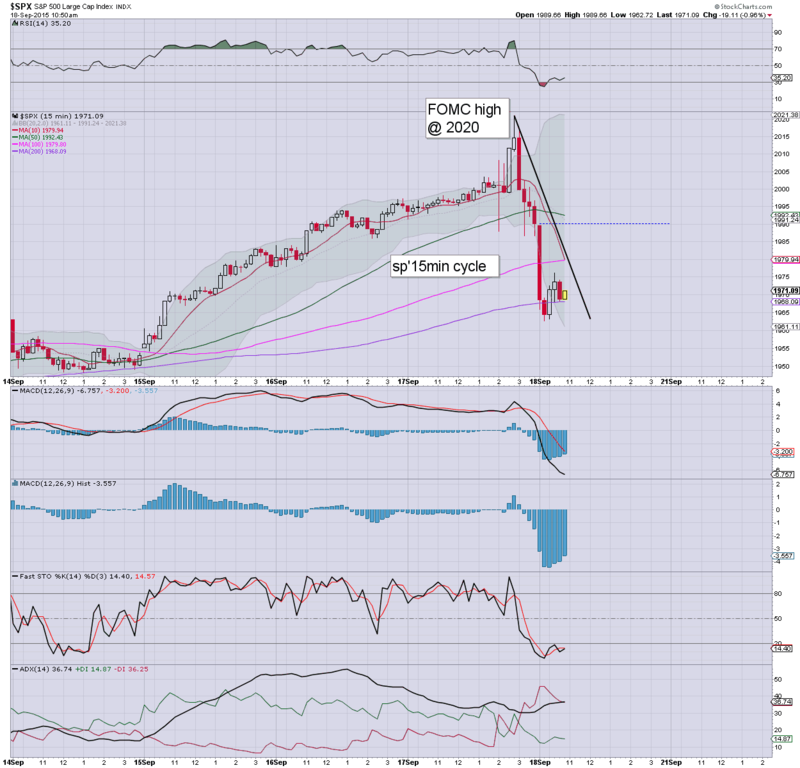 With some rather sustained trading in the sp'1950s today, it looks like we probably have an FOMC spike high of 2020. 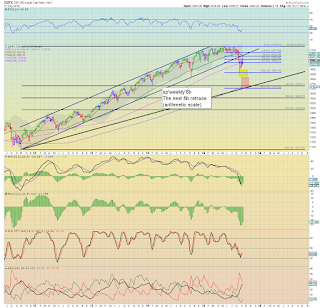 Any further action >sp'2000 looks unlikely next week. There will no doubt be intraday bounces next Monday... but with things as they are... they are arguably to be shorted. yours truly has been in 'trading light mode... on the long side' for the last four weeks, but I will look to launch a major market short next week. US equities are set for significant net daily declines, and now it appears to be a case of whether the 'rats jump ship' into the weekly close.. or instead some kind of short-stop cascade back into the 1970s. Regardless of the exact close.. its been a rather wild week. So... this market continues to struggle. There are sporadic little waves higher.. but we're still seeing equal down waves. Best guess: renewed upside... but if we see sustained action in the 1950s next Monday, it will arguably rule out new highs next week. 3.36pm... well.. it ain't pretty... as things are... fractional net weekly declines... and 2020 again looks like a top from the 1867 low. US equity indexes remain near the morning low of sp'1962. 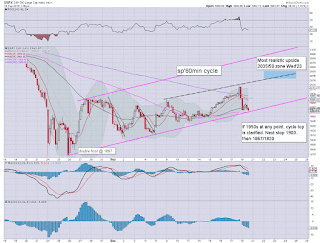 It remains a very borderline situation, and the bull maniacs should be fighting for a weekly close in the 1970s. 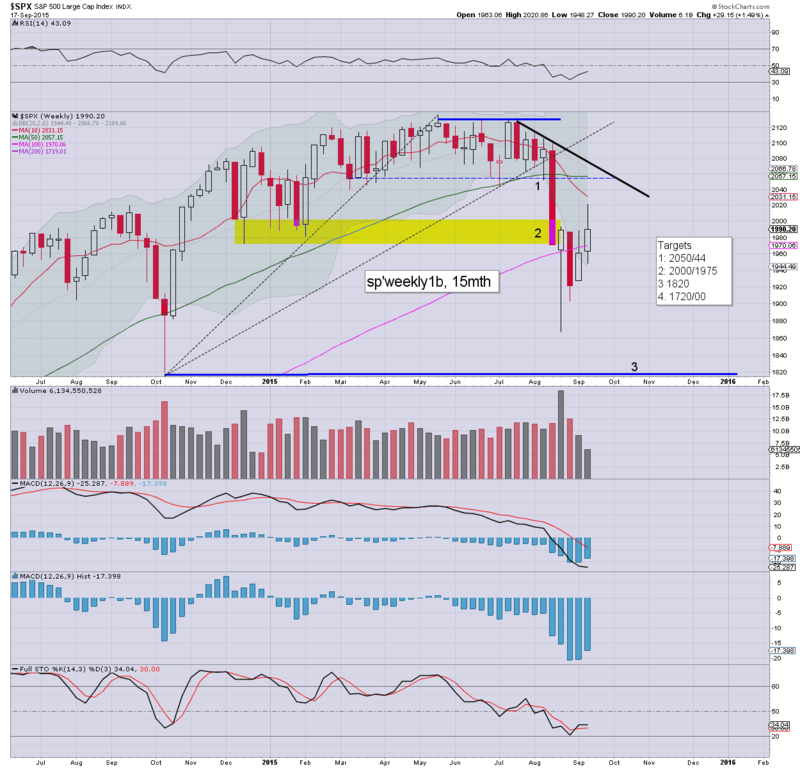 As it is, any weekly close >1961 will still make for a net weekly gain. Little to add... and really, I'm starting to slow down into the weekend. 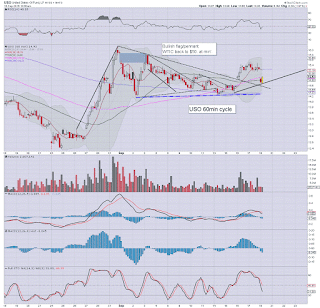 Best guess... we hold support and battle upward in the first half of next week. 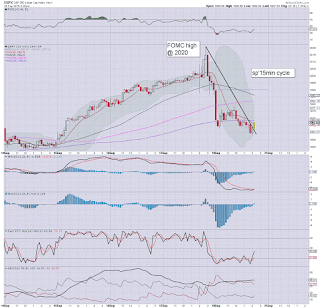 weakness: FCX -10% in the $10s..
Summer is over in NW Europe.... its a struggle just to get to the upper 60s. 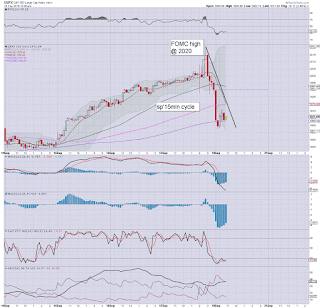 .. Oil loses the $44s... and sp'1959..... VIX 22.50s... notably below the opening high. US equities are once again coming rather close to breaking rising support (sp'1960). 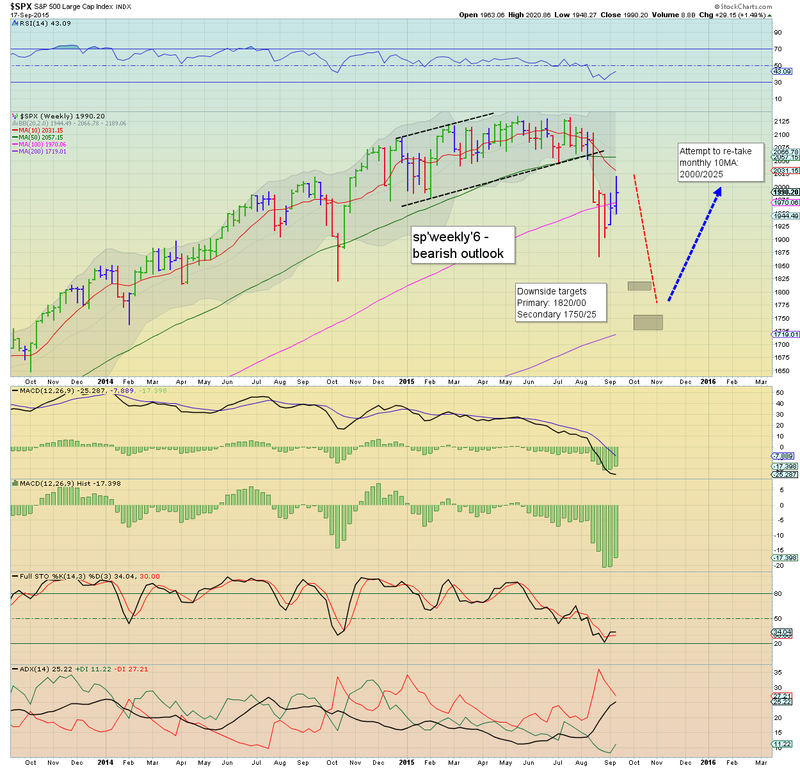 A daily close in the sp'1950s would bode of a key top at 2020... but for now.. that is a very big uncertainty. VIX +6% in the 22s... still below the opening high of 23.80. It simply remains a case of whether we break that trend... or not. Best guess.. it holds... but it is a very marginal situation. US equity indexes are slowly recovering from the early quad-opex washout of sp'1962. Renewed upside looks due... and 2020 looks set to be broken above at some point next week. 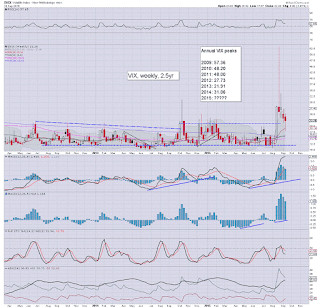 VIX has a short term peak of 23.80, with a weekly close in the 21/20 due. Those bears getting overly excited at the opening declines should be at least somewhat concerned now, that this was just a post-FOMC washout.. before another attempt to test the 50dma across all indexes. 12.26pm... sp -24pts @ 1965.... coming a little close to the early floor. US equities are seeing a rather key battle this morning, as the bull maniacs are fighting to hold the early low of sp'1962 (with VIX 23.80). There remains threat of renewed upside into the middle of next week, to the 2030/50 zone... where there are multiple aspects of resistance. 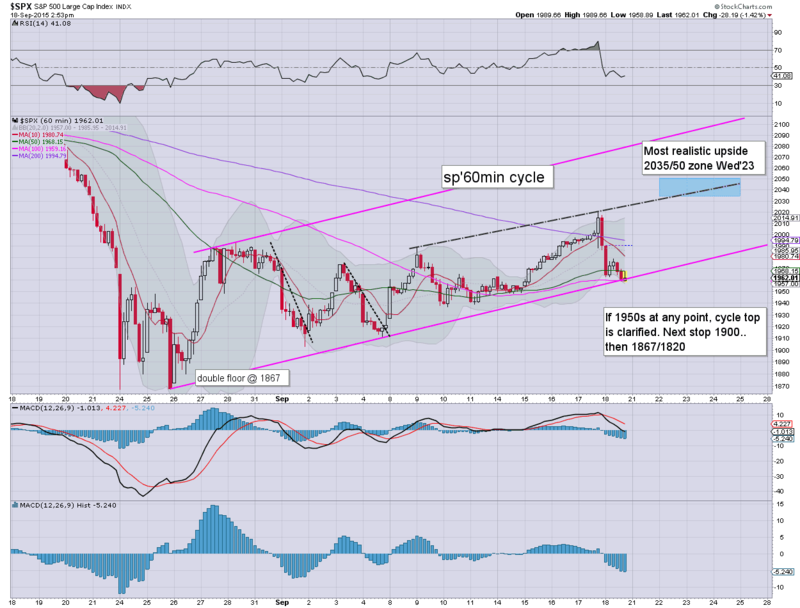 Clearly, there IS threat of renewed downside.. but then its quad-opex.. and considering we've already cooled from 2020 to 1962 (2.9%)... a break of key support looks unlikely today. The only issue is whether 'somehow' the market can turn positive by the close. 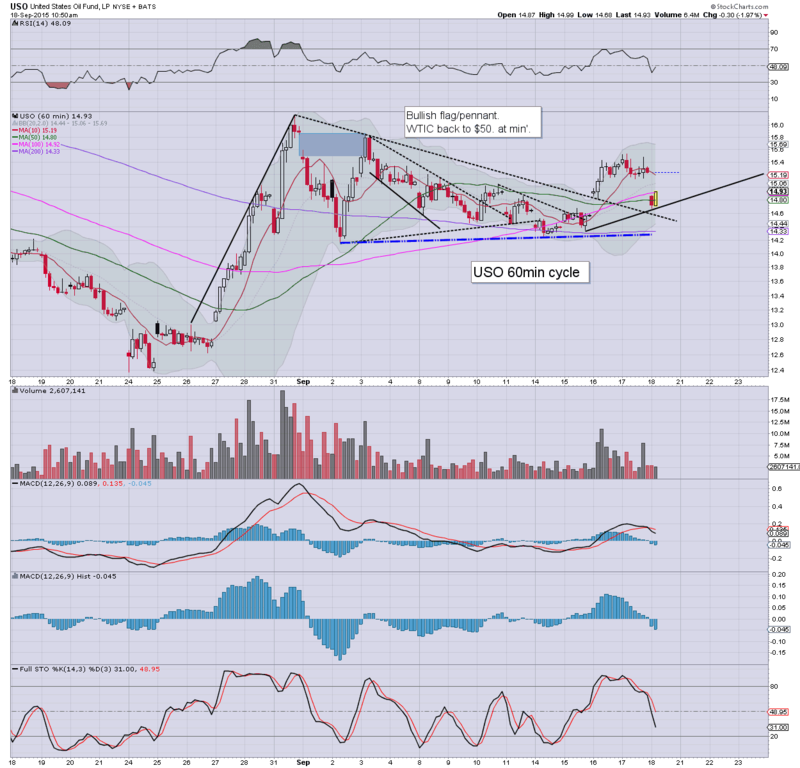 Despite threat of renewed upside, I do not intend to meddle in oil again in the near term. Oil was particularly weak yesterday - relative to the weak USD.. and upside in Gold. A very dynamic pre-market... not least due to the German DAX lower by a very sig' -3%. Best guess... rising support holds.. with renewed upside into next week. I realise a fair few would disagree with that right now! *I remain content on the sidelines, as I'm going to let the market tell me whether it can hold rising support... or break lower.. and confirm that sp'2020 is a top. 10.01am Leading indicators.. +0.1%... still... thats nothing to inspire the macro-bulls. 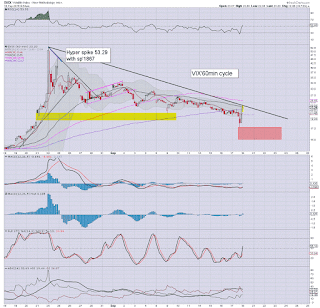 10.04am.. To confirm.. the opening VIX candle was indeed a black-fail.. and bodes AGAINST the bears. They don't alway play out, but I'd argue 85% of the time they do... and equity bears need to be mindful that sp'2040s would be a far more natural cycle peak. 10.14am.. sp @ 1971.. .with VIX cooling to +4%... looks like the bull maniacs managed to hold support. 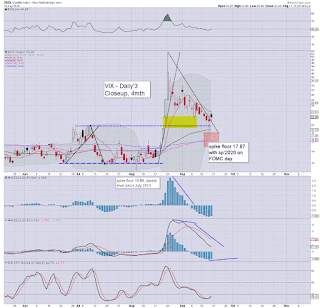 It remains a nasty market... and the opening VIX candle was something to take seriously. 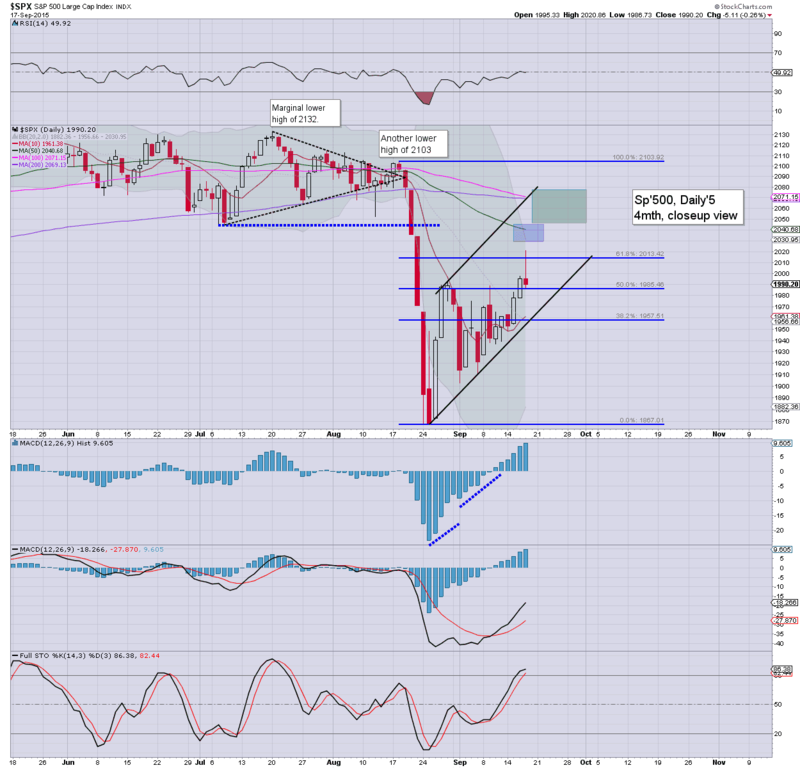 As at the Friday close, the market needs to hold sp'1960, to not violate the key rising trend/support. Right now, the market should be able to comfortably hold together... before one final push upward. Best guess... a morning washout... a turn around 11am... and then recovering into the late afternoon. It is quad-opex.. so do expect some swings. China: +0.4% @ 3097. There remains threat of a test of the underside of old broken support in the 3300/3500s.... before things unravel to the 2500/2000 zone. 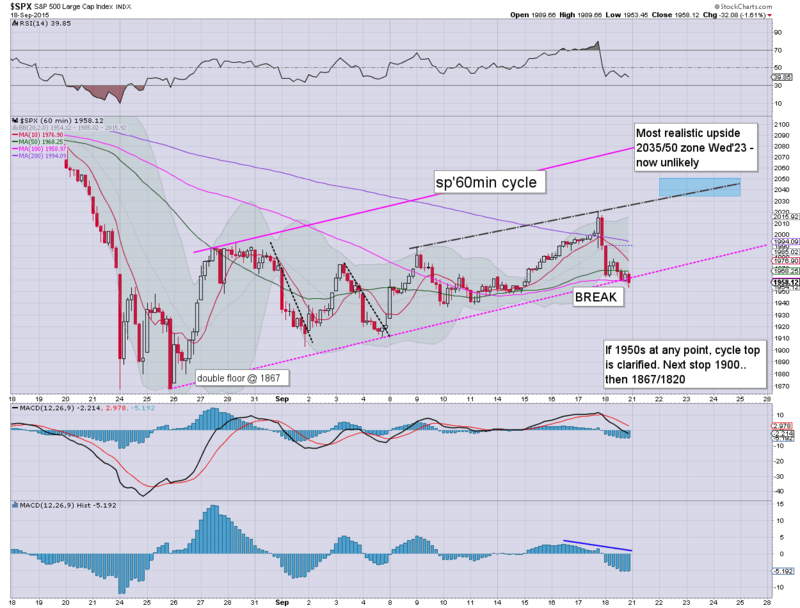 I do not plan to get involved on the long side (even Oil) for the reminder of this cycle. Instead, I am merely waiting to find a level to short from. The 2040s still look briefly viable. So, as things are... I'll be on the sidelines across the weekend, but that is what I prefer anyway. 7.31am.. sp -22pts.... 1968... and is getting pretty close to breaking rising support. If support is broken, by default, I'll have to look to chase lower on the next 15/60min cycle bounce. A rather important morning ahead. 7.46am... Peabody, 1 for 15 reverse split... taking the stock back to around $15. Considering the mid term outlook for energy prices.... that arguably merely makes it an easier stock to re-short, esp' via option puts. sp -18pts... 1972. I'd imagine the VIX will be +10% in the 23s at the open. 8.00am , sp -22.. 1968... and that remains a little close to rising support for comfort. AAPL, DIS, -0.9%... broadly following the main market. 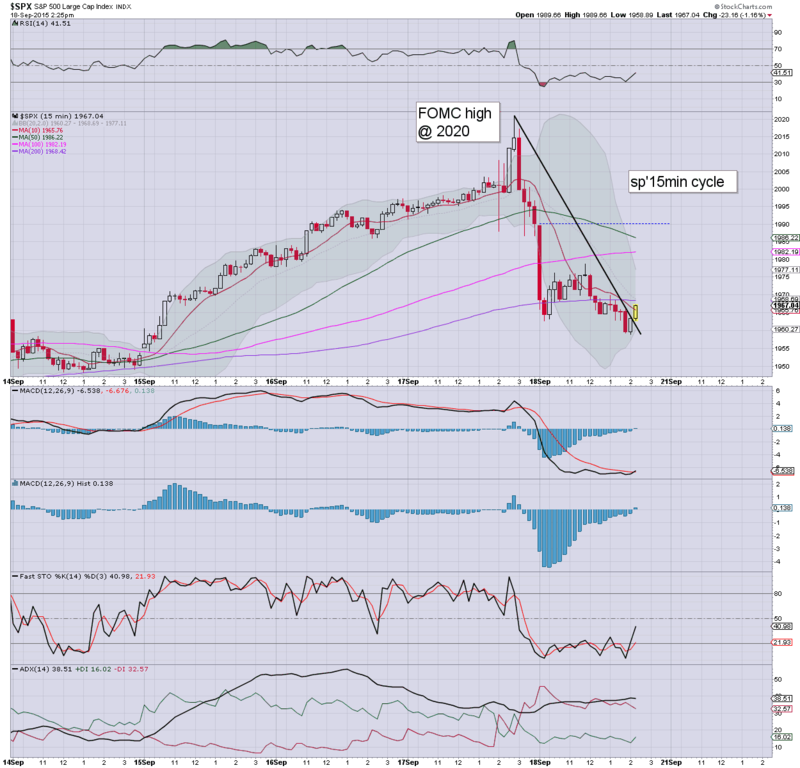 notable weakness: Oil, -2.8%.... and that is with a weak USD. 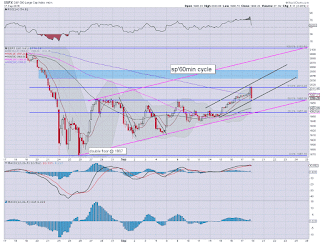 Gods help the energy stocks/main market once USD starts rising again. 9.12am.. sp -29pts... 1961... at the daily 10MA. Frankly.. its increasingly looking like we have a cycle of 2020.. with VIX 17s. Regardless.... I ain't chasing the lower open... we'll no doubt cycle up to some extent. 9.19am.. sp -33pts.. 1957... .. and that is about the very extreme bulls can manage without breaking core support. Ugly open... with the irony being of course that this is after the Fed kept rates at zero. 9.34am.. With some 'magic'.. the market opens some 10pts higher than was due. So.. for now... core trends HOLDING. .. the fact it is quad-opex... further complicates things for those currently short. VIX opens +11% in the 23s... broadly as expected. ... a black-fail candle on the VIX looks due by 10am. Bears... beware! 9.47am.. BLACK-fail candle on the VIX.... its only provisional.. but price action suggest market will be able to build a floor... and hold together into next week. 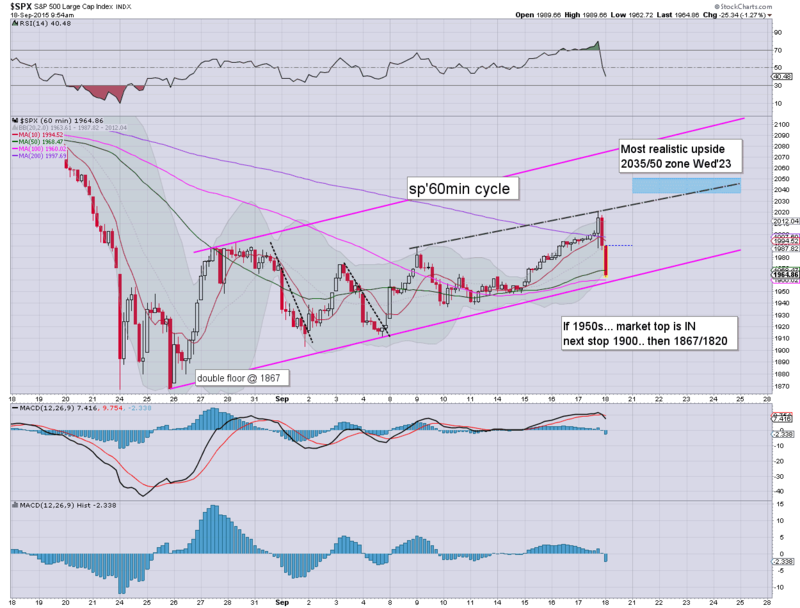 Fed days are notoriously messy for trading, and today was no exception, with the sp'500 pushing to a new cycle high of 2020, but settling -5pts @ 1990 (intra low 1986). 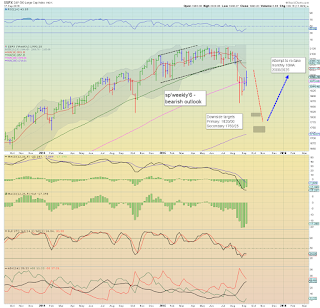 Near term outlook offers further upside to the 2040s.. where the 50dma is lurking. *a busy.. and tiresome day.. so this needs to be short! 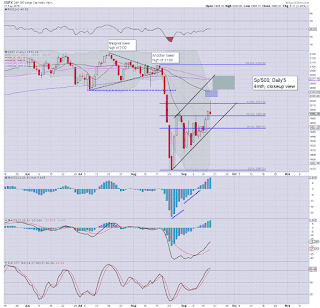 Suffice to say.. we've come within 1% of my first big target of the 50dma around 2040. To me, 2020 does not make much sense as a key high... the 2040/50s would be far more natural. Yes, it was made before the Fed announcement, but there are some interesting issues in there, not least about Gold and Bonds. Interesting little rant from Schiff on today's lack of a rate hike. 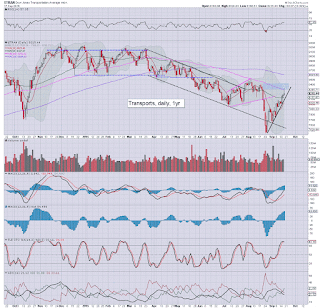 Friday will see leading indicators... but far more importantly.. it will be quad-opex. So.. expect increasing chop into the weekly close. I generally try to avoid trading on 'Fed days', and today was no different.. although yes, I did have eyes on Oil for much of the day. 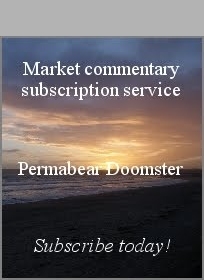 As things are, I remain looking to launch a major market short.. with a view to remain broadly short into mid Oct'. Right now...there looks to be 'easy money' for the bears from 2040 to the 1900 threshold. 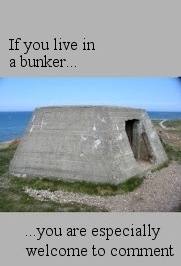 From there, it will get more risky once in the 1800s. There is a viable mini-crash window to the low 1700s... but first things first.. the market needs to clarify a top across the next few days. 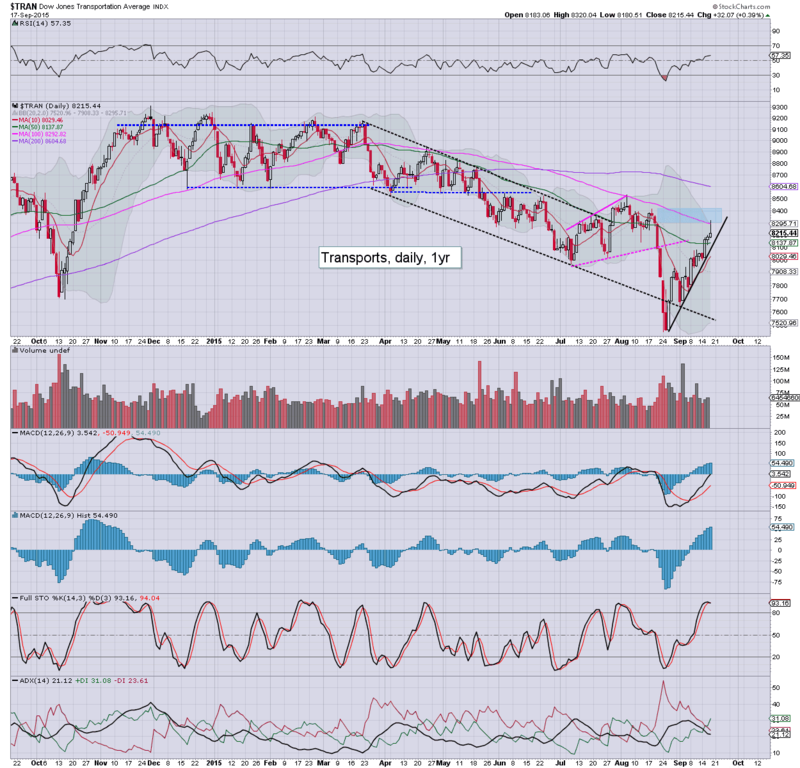 *Trans has entered the target zone 'blue box' of the 8300s.. with a clear spike. I would guess the Trans will make another attempt for the 8300s.. whether tomorrow.. or early next week. 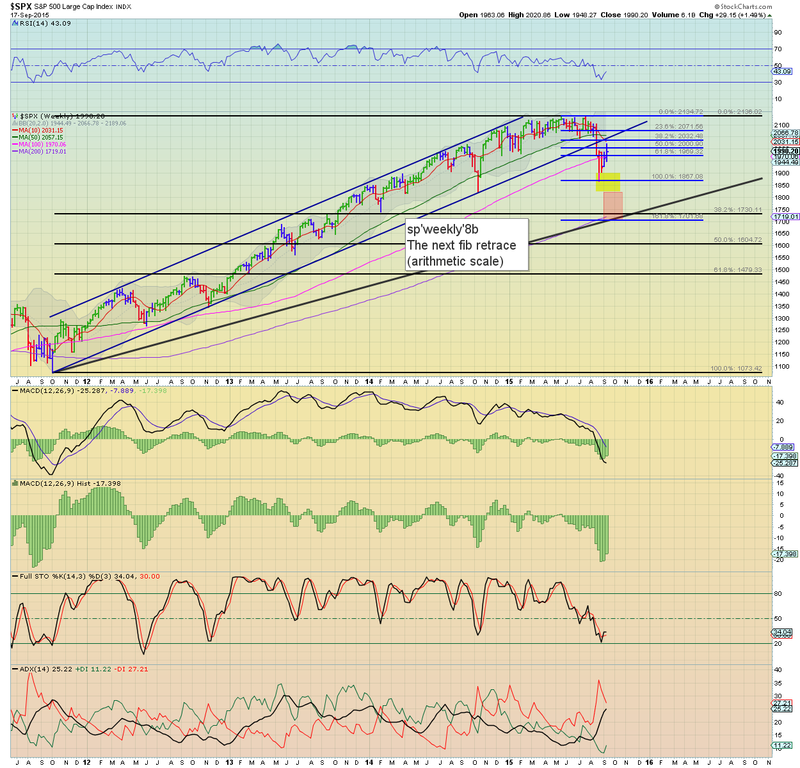 To be clear though, I do NOT expect sustained action >8400 in the near/mid term. As for the sp'500, the daily candle is offering something of spiky top, but 2020 doesn't make much sense as a multi-week top. Indeed, a test of the 50dma in the 2040s remains viable... but with a close of 1990... the 2040s look viable no earlier than next Monday.